For Christmas, my brother gave me a bracelet by Alex and Ani. 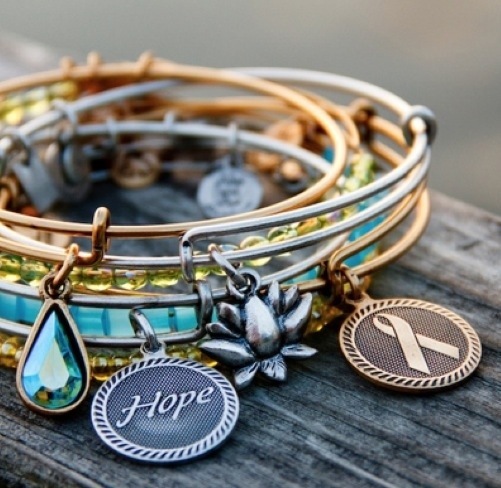 Alex and Ani is a jewelry company that offers eco-friendly, positive energy products that adorn the body, enlighten the mind, and empower the spirit. This bracelet is very unique and allows me to express my individuality through jewelry. Not only do I love the look of these accessories but the fact that they are affordable is also a plus! Each bangle ranges from about 25 to 35 dollars. However, bangles are not the only pieces that this company has to offer…necklaces, earrings, and rings can also be purchased! Everyone check ’em out at www.alexandani.com.